Finally, a true cloud computer is on its way in the Chrome OS netbook. 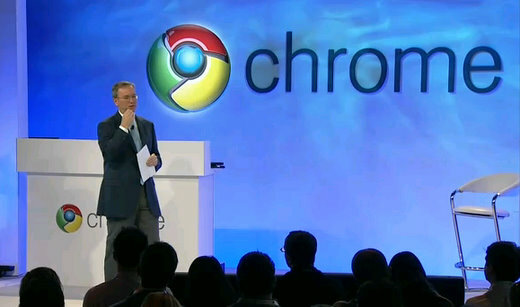 Google has an ambitious goal indeed – offer a web based OS alternative to Windows OS and Mac OS. The Chrome OS is said to boot up in 6 seconds flat from an off status. And you can simply close the netbook and the computer shuts down. Open the netbook and pow – the OS is back online and ready to go. Google believes that the cloud is the future of personal computer usage. Instead of having local drivers and local storage on a computer, Chrome’s OS wants to push everything to the cloud (to the web). Instead of buying software that has to install on your hard drive and resides locally in your files, Chrome OS will provide apps that can purchased (or for free) from their own Chrome Apps store. The release date of the Chrome OS netbook is expected to be at the end of this month (December), and I’ve already received an invitation from Google to request / text beta Chrome OS netbooks.